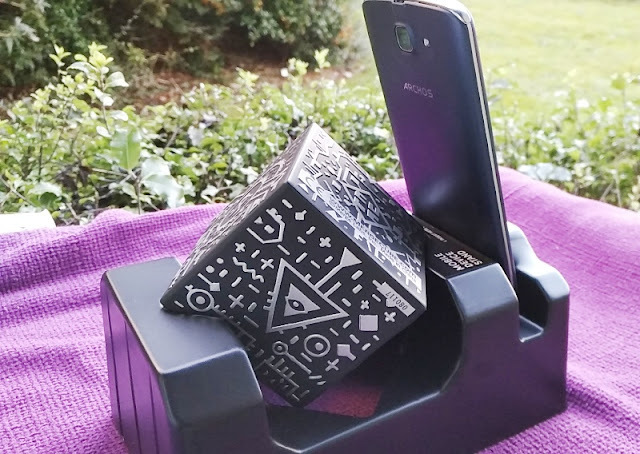 Using a 360 degree viewer and a holographic object like the Merge Cube you can power both a virtual reality and augmented reality experience by only using your phone! 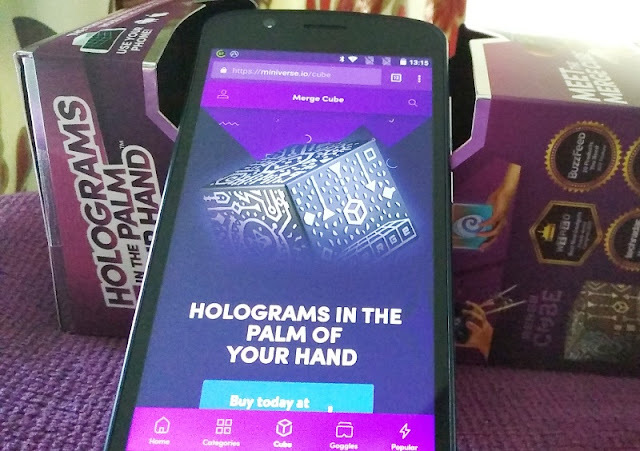 The Merge Goggles and Merge Cube are made by Merge Labs Inc and work in conjunction Merge Cube apps that you can download to any Android or iOS operating system based device. 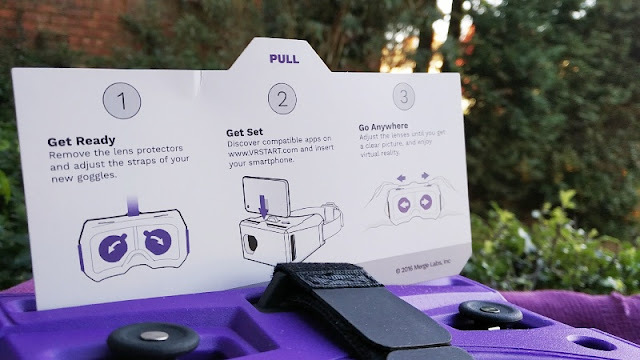 On top of the Merge VR headset you find a slot opening to slide your phone as well as two buttons for calibrating the focus of the lenses and for controlling the phone's screen while it's inside the VR cradle. 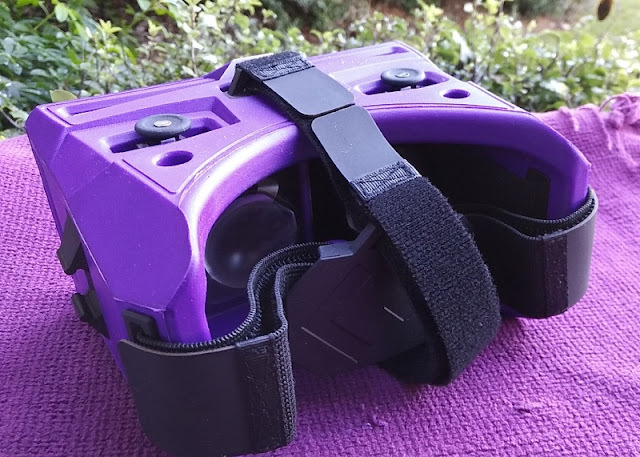 These two buttons on the Merge Goggles function similarly to the button on Google Cardboard but instead of magnets, the buttons on top push a lever that presses the phone's screen, allowing you to perform different actions like play and pause. 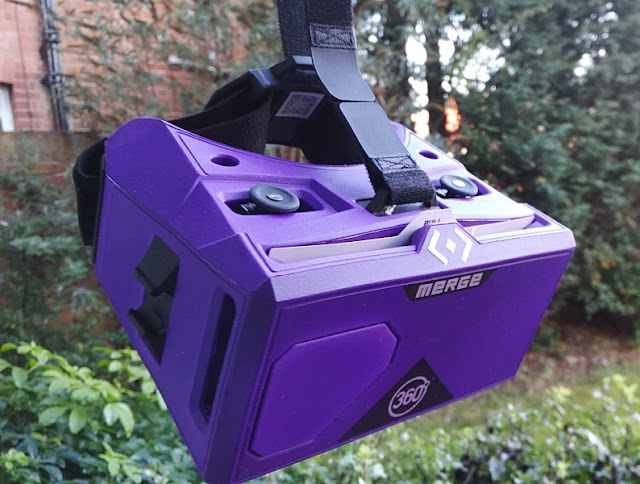 On the sides of the Merge Goggles, you find vent openings for your phone speakers and headphone jack. 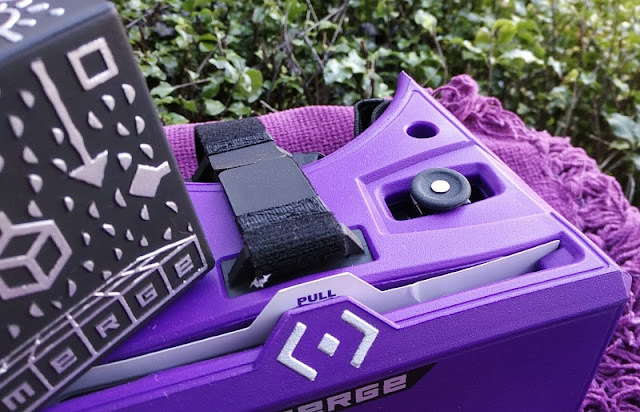 The front of the Merge Goggles features a pop up cover that you can remove when using the goggles for augmented reality. 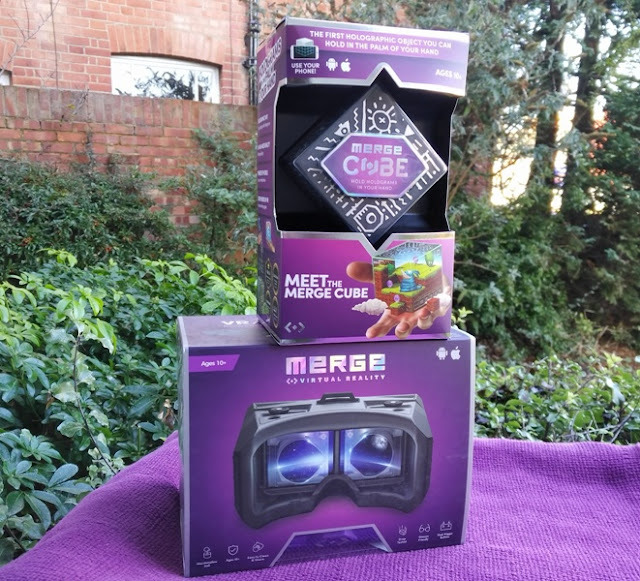 The Merge Goggles also feature two wide, flexible elastic bands to wrap around the sides of your head as well as an over the head elastic band to distribute the weight of the headset more evenly across your head. 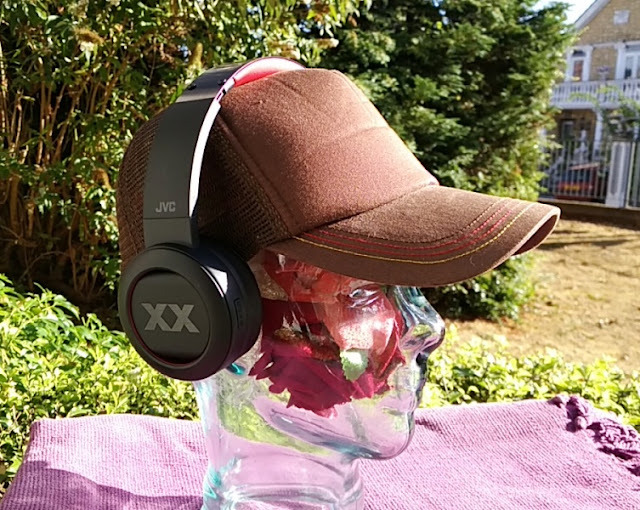 All three head straps are removable. 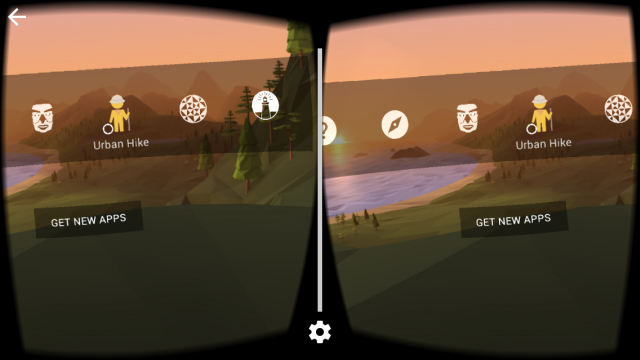 Before you can use Cardboard apps with the Merge Goggles, you need to setup the viewer profile to optimize the display of your phone. 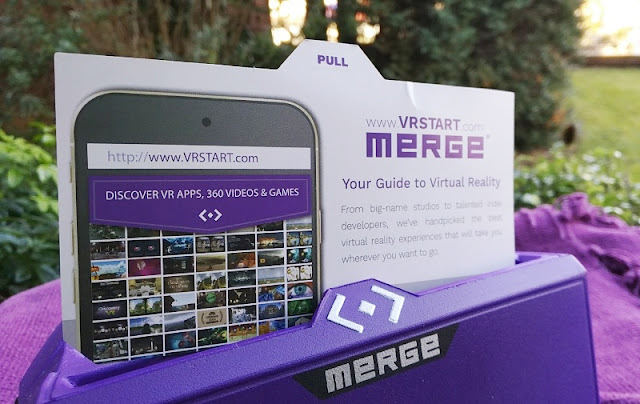 To do this, simply scan the Merge Viewer Profile QR code on the back of the headstrap. 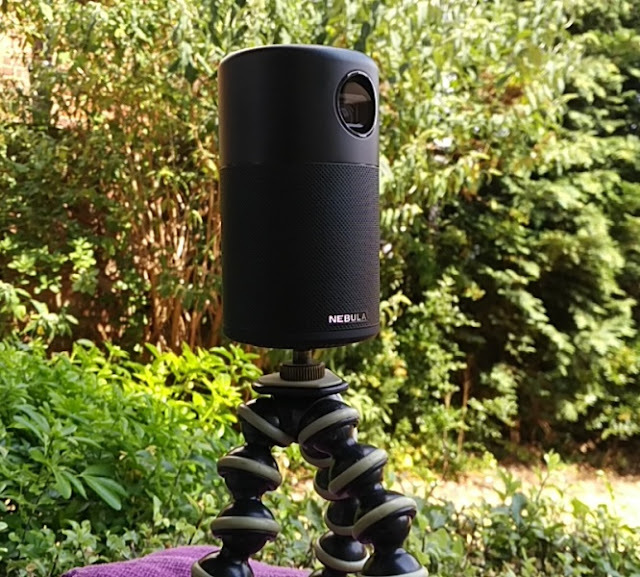 After setting up the viewer profile, you then need to download the Cardboard App, run the app and look for the gear icon in the bottom center of the screen, tap on the icon to get the settings menu, then click on the “Current Viewer” button. 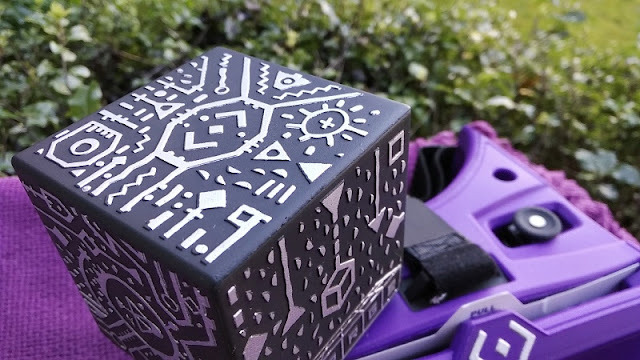 Point your phone's camera to the Merge QR code to switch your profile. 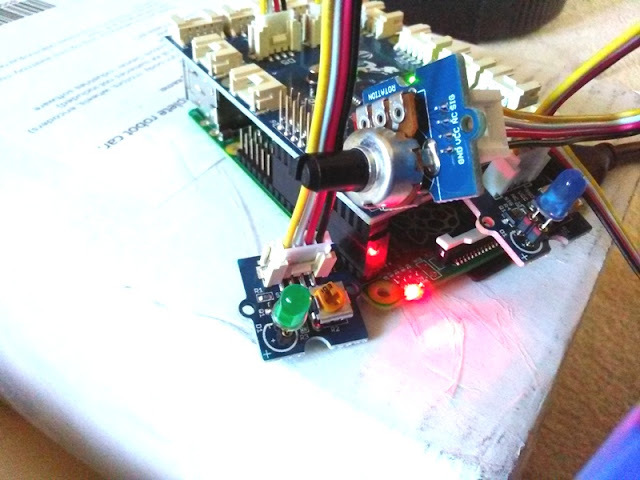 That's it! 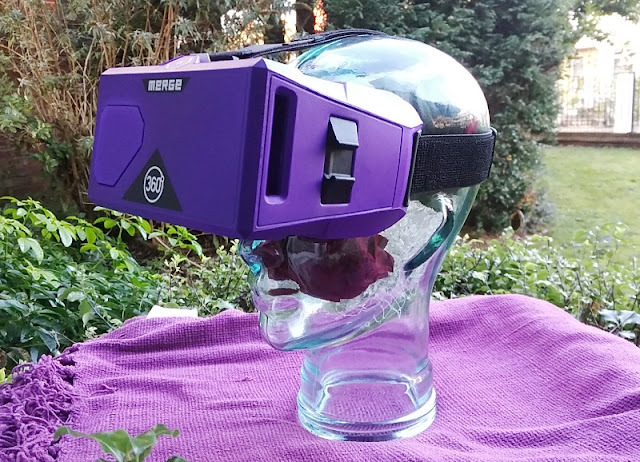 Your phone is now set up to use the Merge Goggles. 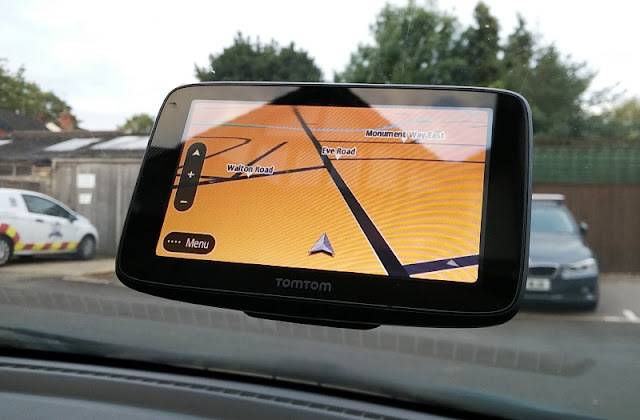 By the way, if you run an app that does not automatically load the Merge Viewer Profile, look for the gear icon on that app and follow the steps above. 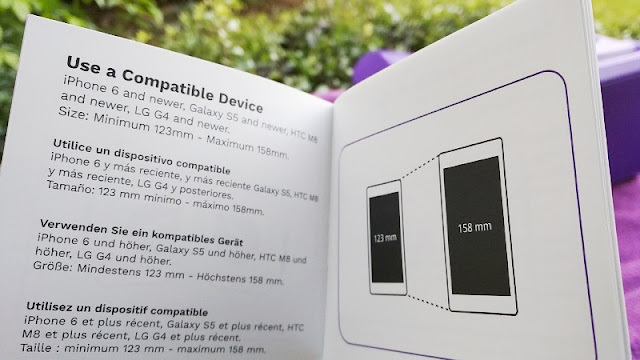 Before setting up the viewer profile, it's worth checking VR Test Ninja to see if your phone is compatible with mobile virtual reality. 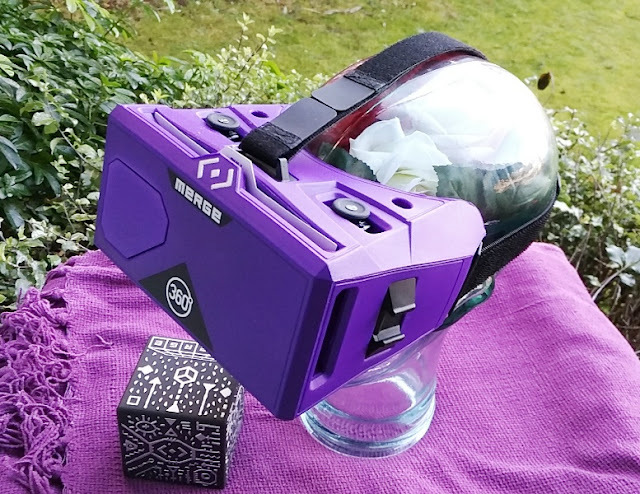 Both the Merge Goggles and Merge Cube can work independently of each other but having both means being able to experience both virtual reality and augmented reality. 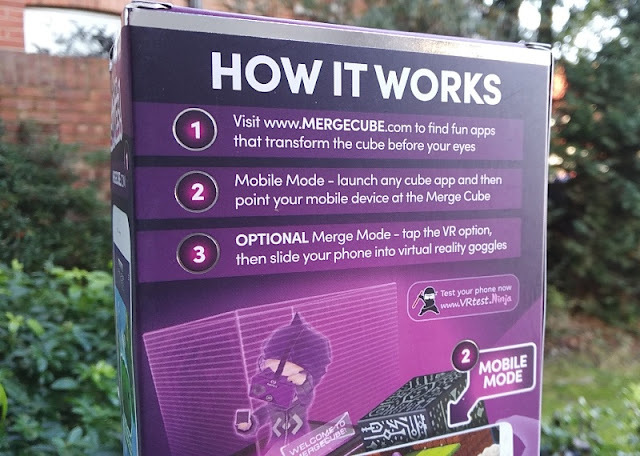 As you unbox the Merge Cube packaging, you will find a soft foam cube, an activation code and a sticker, as well as an inner packaging which works as a stand/case to hold your phone and store the cube when not in use.. 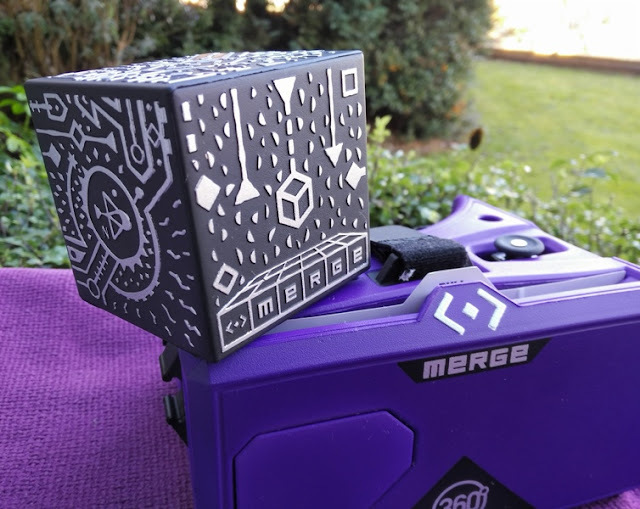 The Merge Cube is essentially a soft foam cube with markings/patterns on it to enable the Merge Cube apps to map different augmented reality experiences on the face of the cube. 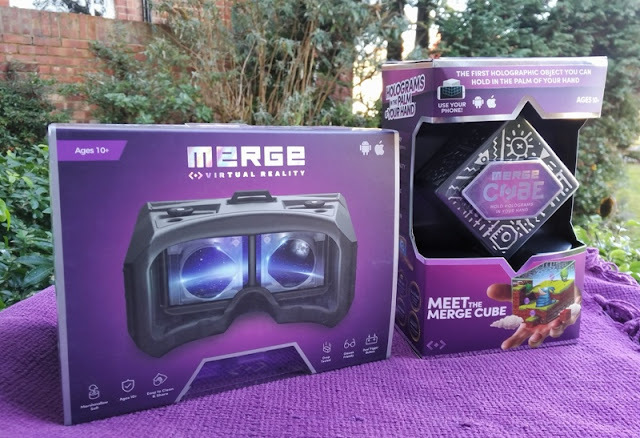 Merge Cube is plug and play so you can start using it right out of the box. 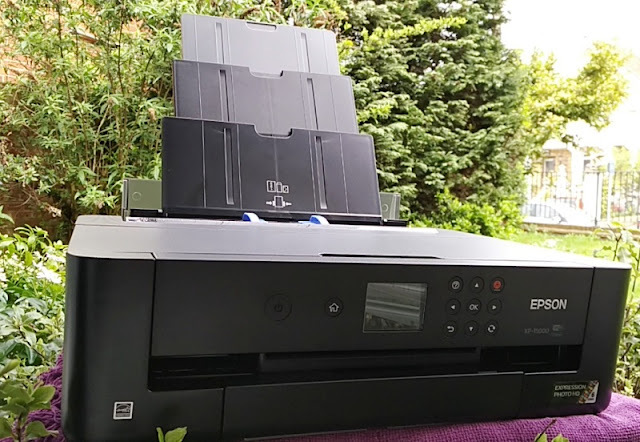 You do have the option to use the activation code and/or to create an account but you can skip doing this as activation and account creation are not required to use Merge Cube. 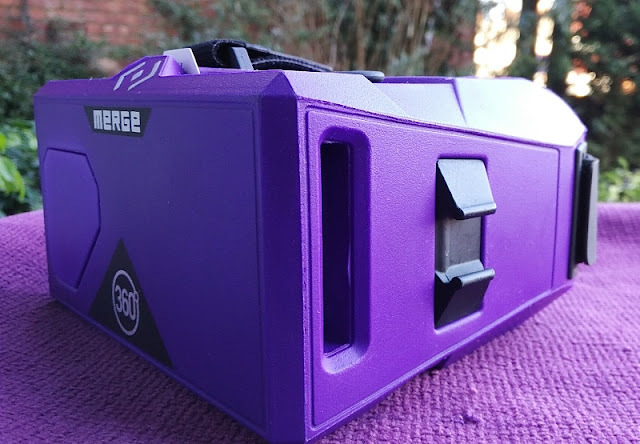 Coming back to the Merge goggles, it is worth mentioning that the lenses on the Merge VR/AR Goggles can be adjusted left/right so you can match the lenses to where your pupils are. 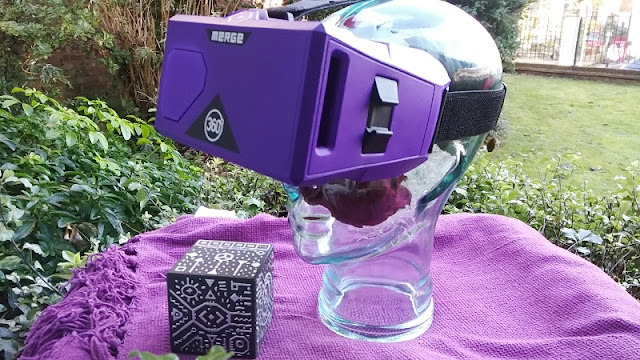 You can wear a pair of glasses underneath the Merge VR/AR Goggles comfortably as there is some room between the nose bridge and the lenses to accommodate a thin pair of glasses. 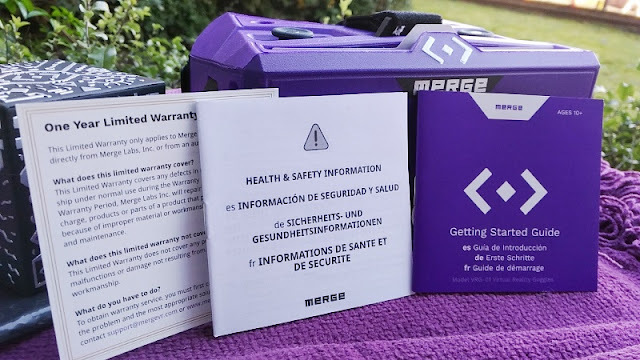 The Merge goggles are also made from polyurethane, which is a material similar to a yoga mat so it doesn't absorb sweat odors, doesn't smell like rubber, and you can easily clean it. 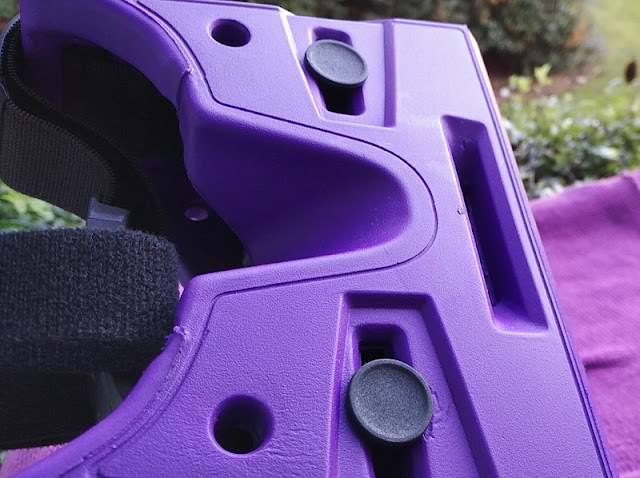 The material of the Merge Goggles is also malleable and flexible soft foam so the headset literary moulds to the contour of the face. 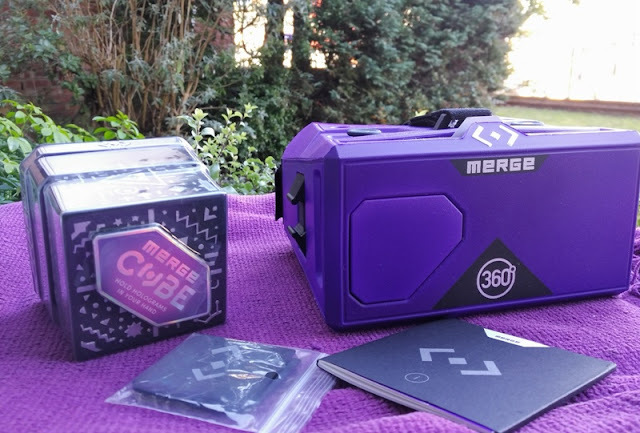 The Merge VR/AR Goggles and Merge apps work with any phone no longer than 158mm (6.2 inches) long that has a gyroscope built-in. 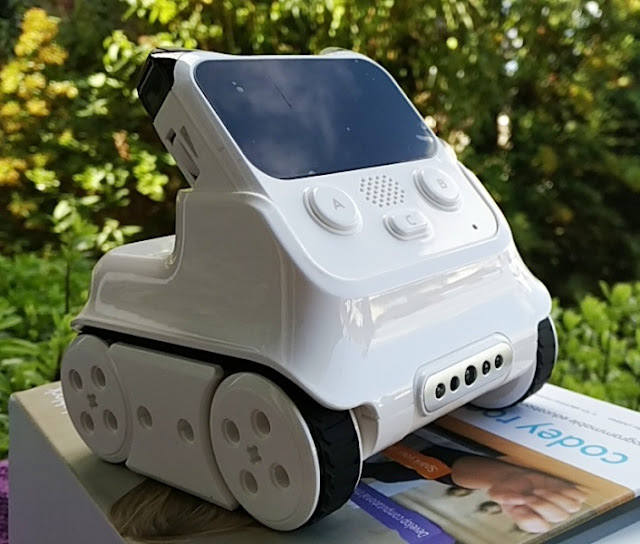 The Merge Goggles can accept phones a different sizes like the iPhone 6 which measures 5.76 inches high and 2.78 inches wide. 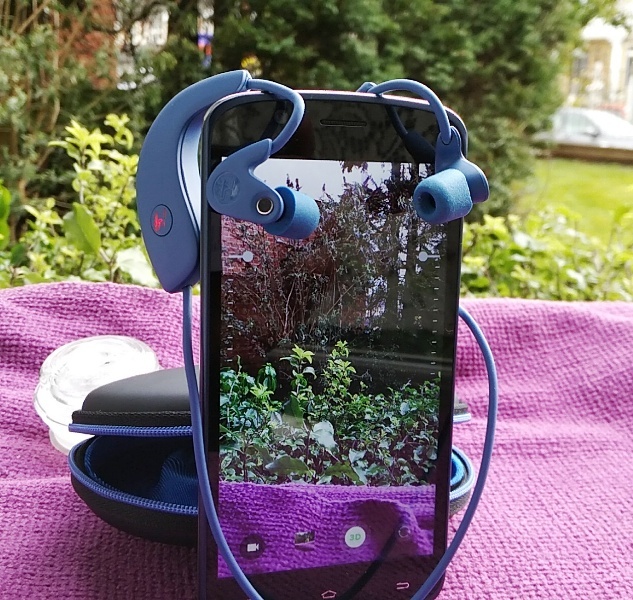 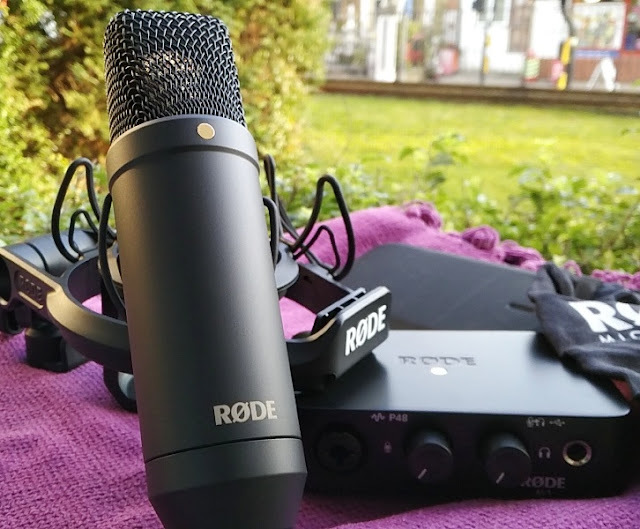 Phones that fit best and offer the best experience of the Merge Goggles are the iPhone 6, Galaxy S5, HTC M8 and LG G4 or newer models of these phones.